With just one month ahead the 2017 NAIAS, in Detroit, a lot of carmakers have already begun announcing their newest rides by launching teaser images or videos. Toyota`s luxury division Lexus has also released a teaser image which previews the all-new 2017 LS high-end model, which is said to lead the way in the luxury segment. Once arriving on the market next year, the 2017 Lexus LS going is not going to be just an ordinary luxurious sedan, as it will encompass the most advanced technology in terms of driving dynamics and gadgetry. From a visual perspective, the new LS will stand on the company`s new GA-L high-performance platform, which is the same underpinning other flagships, like the new LC Coupe. This means that it will make use of lightweight materials, making it more agile and comprising a wide range of engines. There are little details concerning the looks of the new LS, but judging from the teaser image, the model is going to come with advanced aerodynamics, highlighted by the company`s newest spindle grille layout, along with sharp angular headlights which will increase the sporty feel and look. Other high-end features will also include full LED headlights with sensors and front cameras which announce the semi-autonomous driving system, new wheels and so forth. Inside, the cabin is also said to boast with “visionary technology”, adding increase space and the latest materials. 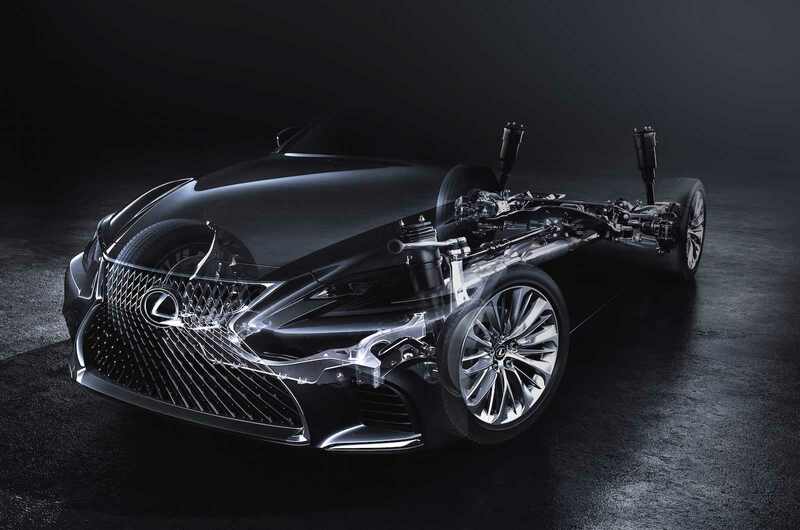 In the engine department, the all-new Lexus LS is rumoured to be powered by a 3.5-liter V6 hybrid drivetrain in the LC500h, adding a petrol V8 mills as well. Later on, other more potent engines will follow, perhaps the same ones found on the current LS 600h, F APort or Sports Luxury versions. We should be able to find full details in Detroit, next January.